Currently, online streaming services give you access to infinite playlists from different artistes across the globe. However, there are times when you don’t have access to the internet and you want to listen to music offline. Fortunately, there are apps that not only allow you to stream sites for music but also save the music for future use in offline mode. Read on to discover these awesome applications. There are various offline music downloaders you could use to download songs on your iPhone. But not all apps are created equal. If you are looking for the best offline players, here are the top 5 offline music downloaders for iPhone. iMyFone TunesMate is a software that lets you enjoy flexible iOS transfer, as it lets you transfer media files such as music, videos, ringtones and other files between your iPhone and computer system. 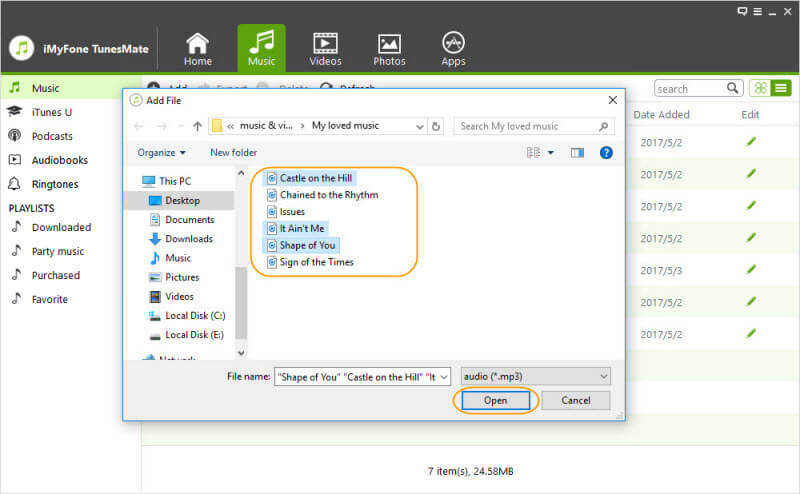 If you want to listen to any offline music, you can just simply download the music to your computer system first and make use of iMyFone TunesMate to transfer the downloaded music from PC to your iPhone. Offline download music to iPhone/iPad/iPod Music app, you can listen to music on the go. Sync iTunes library to your iPhone without overwriting. Share purchased or non-purchased music with your friends. You can have a huge music collection. Two-way transfer to transfer music among iPhone, iTunes and computer. Manage your ringtones: offline download tones to your iPhone, make tones from any song, etc. Step 1. Click the software's icon to start iMyFone TunesMate and use a USB cable to connect your iPhone to the computer. Step 2. You will see 5 options at the top menu, afterwards click on “Music”. Step 3. Click on Add > Add File/Folder. Select files from your computer system. After everything has been copied, the next thing is for you to click on OK. Afterwards, the downloaded music will be transferred to your iPhone. Advantages: If the music you want to download is in the format that’s not supported by iOS, TunesMate will automatically convert it to MP3 while downloading. You don’t need to do the extra conversion. 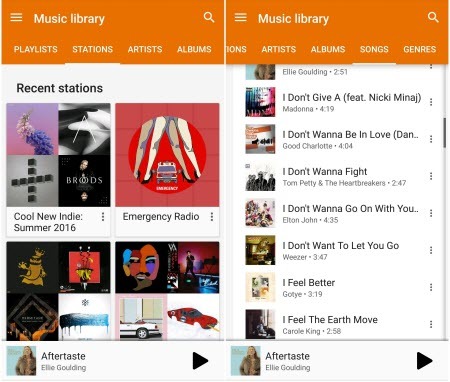 The Google Play Music app gives you the opportunity to download various songs and listen to them offline. It lets you create playlists, derive ad-free YouTube with YouTube Red and also listen to music offline. Users that have standard accounts can upload and listen to not less than 50000 songs from their own library at no cost. Pandora Radio is among the most downloaded offline music apps on app store. 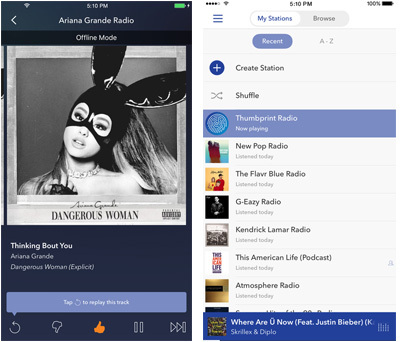 Pandora Radio is quite popular due to its simplicity. It makes use of a radio-style approach, where you can insert the name of an artiste or song and also create a station or list of music you desire. It allows you to download music and listen to them offline. It allows you to refine your stations by giving either thumbs up or down to songs in the station. You also can add new songs or musicians to a station. Tidal is music service app that fits well for lovers of music. It has top fidelity sound quality, high definition music videos, editorial by experts, artists and music journalists etc. All this sums up to a wonderful experience. 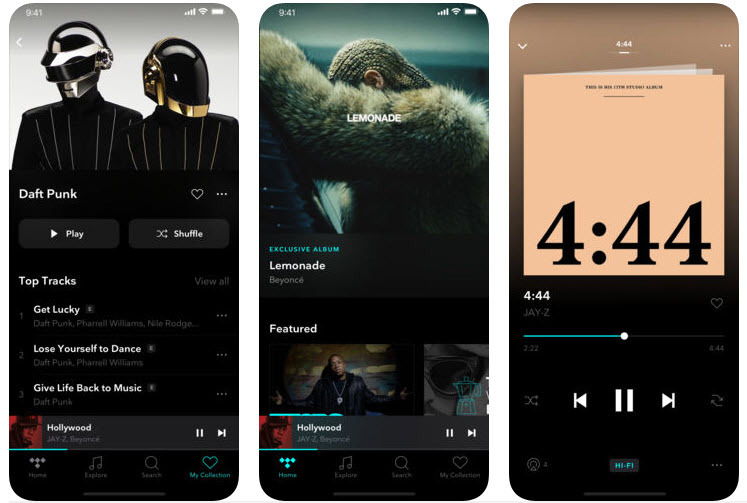 With Tidal, you also get a noiseless radio experience. It has high quality sound and videos. It has close to 40 million tracks available for download that you can enjoy offline. 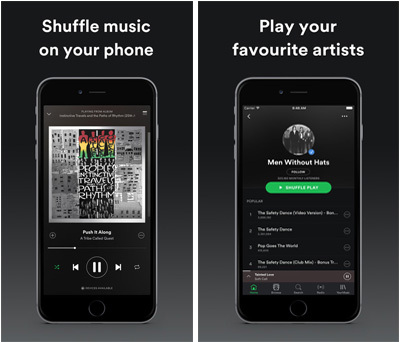 Spotify is an app for music streaming that will allow you to take your music offline. 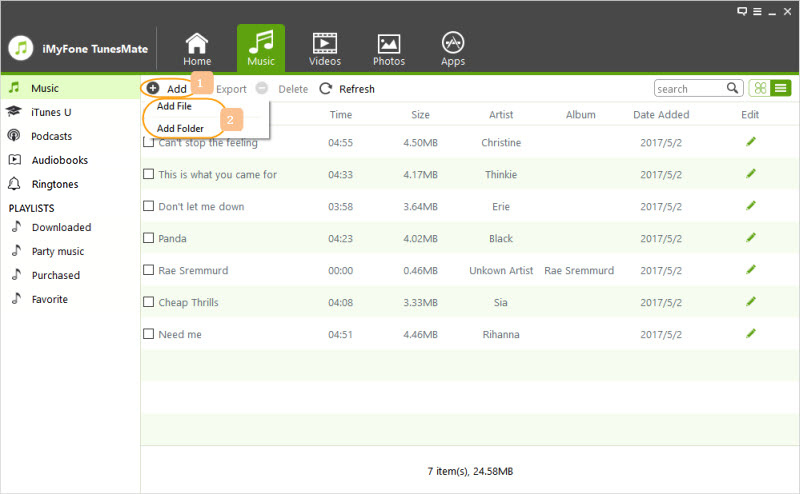 It has a large library and will allow you to search for any artiste or track and listen to them at no cost. It allows you to listen to music on higher quality. It allows you to add more than 3000 songs to your offline list on three different devices. It allows you to get back a playlist you deleted. How to Fix Music Won’t Transfer to iPhone?